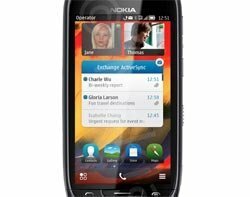 Microsoft and Nokia have launched a toolkit for developers to port applications on Nokia's Symbian operating system to Microsoft's Windows Phone platform. Microsoft said it hopes to make it easier for Nokia Symbian developers to learn Windows Phone. Microsoft and Nokia have launched a toolkit to allow developers to port applications running on Nokia's Symbian operating system (OS) to Microsoft's Windows Phone platform. Microsoft said it hopes to make it easier for Nokia Symbian developers to learn Windows Phone. "This helpful package contains the tools and documentation to help you along the path to learning Windows Phone development," said Jean-Christophe Cimetiere, senior technical evangelist at Microsoft in a blog post. Microsoft has added Symbian Qt to its Windows Phone API mapping tool and developed online training resources. Documentation includes white papers and guides for Symbian Qt application developers, similar to guides written for Apple iOS and Google Android developers. Nokia recently said it is updating Symbian Belle OS to give users access to Microsoft Apps from their smartphones. An update in the first half of 2012 will introduce Microsoft Word, Excel and PowerPoint as native applications for the first time outside the Windows platform. Nokia and Microsoft confirmed a strategic partnership in February. Nokia adopted Windows Phone as its primary smartphone strategy and Bing as its search engine. Nokia will also fold its Ovi store into Microsoft's online Marketplace. Nokia warned earlier in the year that sales of its mobile phones will "substantially" drop in the second quarter of 2011, due to its current integration with Microsoft.